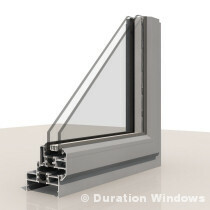 These windows are now even better with most frame and vent combinations being A Rated, and are at a much reduced cost. Visit us and see for yourself. There are a variety of internal and externally beaded vents, which can be top hung, side hung or even bottom hung. 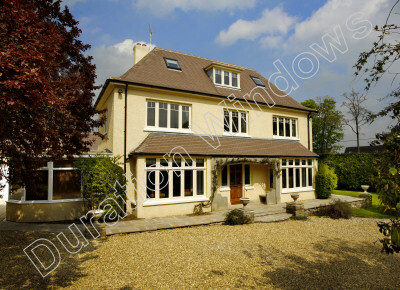 They provide a variety of attractive style window options, to achieve contemporary or period appearances, so there is something to suit any home. This includes a modern flat vent, a chamfered vent, a feature vent and a classic steel window style stepped vent. 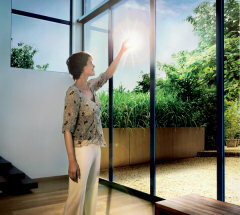 Smarts 47 Windows are very popular, and offer everything you would expect from a quality aluminium window. 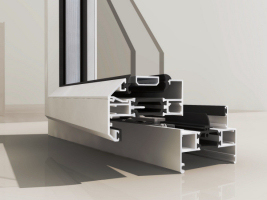 The inherent strength of the aluminium means the frame is slimmer than PVCu or timber, letting the maximum amount of light into your home. 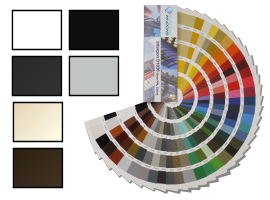 These windows are available in a wide choice of finishes and colours, including dual colours and are now also available with our Chelton® Handle Range. 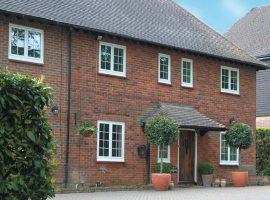 These residential aluminium windows are designed to significantly reduce heat loss and outside noise. They meet all the latest requirements for new build replacement and refurbishment projects, and provide excellent weather performance. By using high quality 28mm sealed units and Polyamide thermal break technology, they will keep your home warm, quiet and comfortable all year round. They come in a range of styles and designs to suit any home. 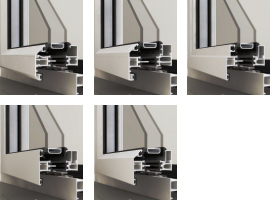 Large range of profiles including flat, square, chamfered and ovolo for traditional or contemporary apperances. 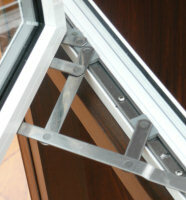 Slim profiles using the natural strength of Aluminium to give you more glass area and less frame. 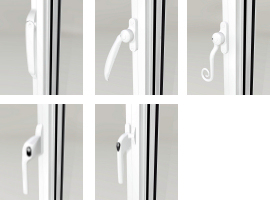 These windows use Trojan Shootbolt locking or our sophisticated Chelton Secure™ locking. 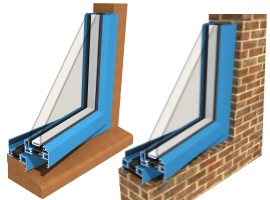 They can be fitted into existing or new timber frames, or direct to brick. 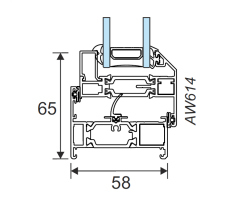 Internal or externally beaded 24mm - 28mm sealed units, with a high security interlocking bead. 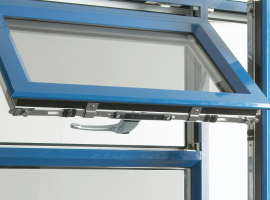 Achieves excellent weather ratings in accordance with the requirements of British Standards. 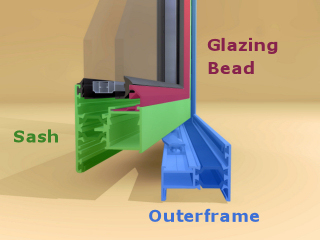 Meets the stringent (Oct 2010) Building Regulations with a Window Energy Rating Of 'C'.